Very good service. Milk in the fridge upon arrival with a small children was especially appreciated. Location , staff , clean everything to be honest. Excellent Location.Near South Kensington station.Good staff. The staff is by far some of the best I've ever seen! They were very helpful at all times and always greeted us with a smile. As I travelled with my wife and 2 y/o daughter, moving with luggage was rather difficult. The front-desk staff helped us with simple things like opening the door when coming in and even more troublesome tasks like carrying our bags all the way to the tube station! Also, we had initially stayed at the second floor, facing the street and should I have been there alone it was no issue but as a family this turned a little inconvenient. When we mentioned this at the reception, they understood and the promptly changed our room to a higher floor facing inwards. Simply excellent service! Free laundry. Nice reception staff. Nice room and nice location. Staff helpful and friendly. 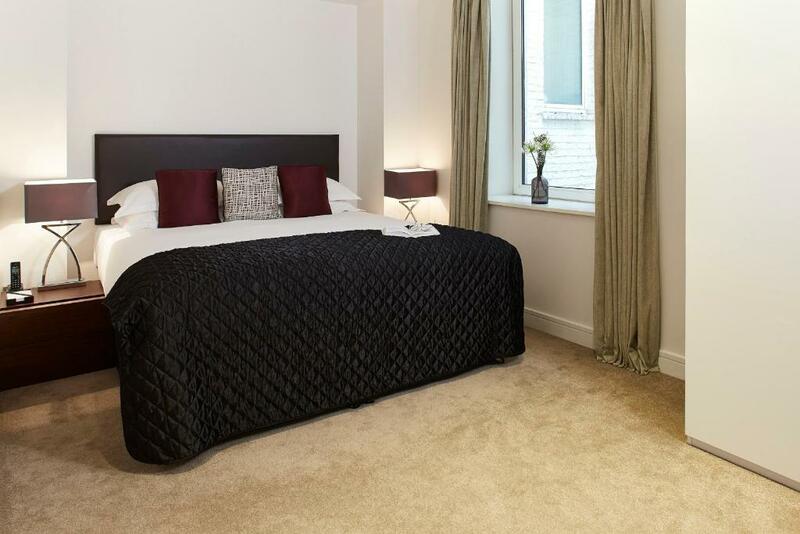 Comfortable, clean and well located - a minute from the station and fab places to eat. The kitchen looked well equipped but we didn't use it during our stay. Perfect location for a family trip to London. Friendly, welcoming and helpful staff genuinely keen to make things easy. Room was comfortable and well-equipped. Staff were very helpful and the apartment was clean and spacious. 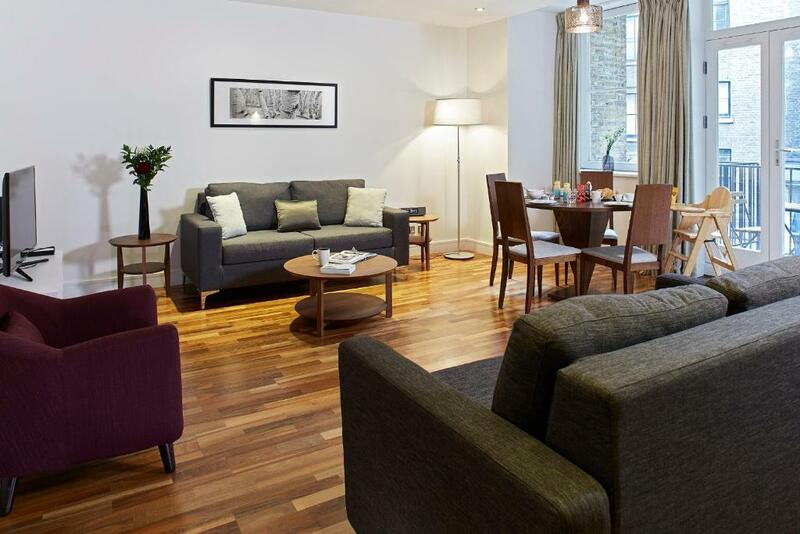 Lock in a great price for Cheval Harrington Court at South Kensington – rated 9.3 by recent guests! Cheval Harrington Court at South Kensington This rating is a reflection of how the property compares to the industry standard when it comes to price, facilities and services available. It's based on a self-evaluation by the property. Use this rating to help choose your stay! Cheval Harrington Court at South Kensington offers luxury 4-star apartments and studios in the heart of South Kensington and 2 minutes' walk from South Kensington Tube Station. They offer free WiFi and stylish, spacious accommodations. 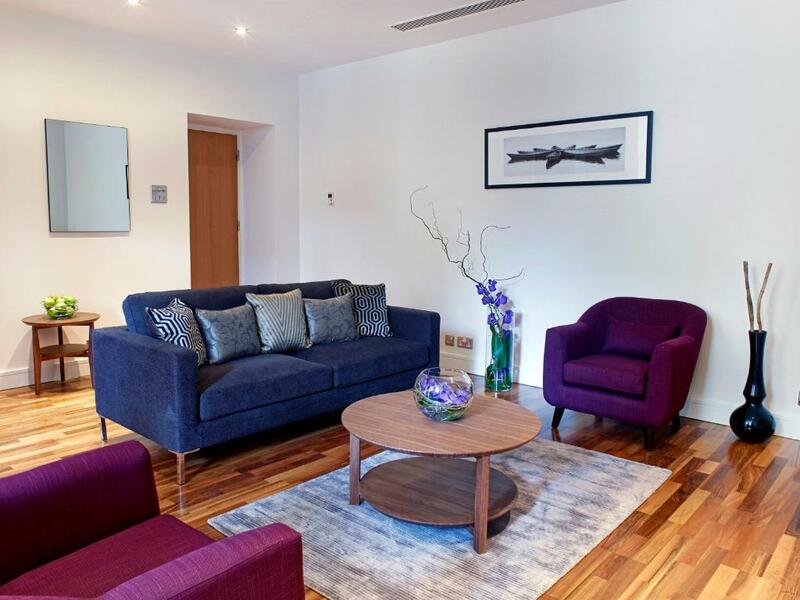 All air-conditioned, serviced studios and apartments feature a flat-screen satellite LCD TV, a iPod docking station and a wooden-floored dining and seating area. 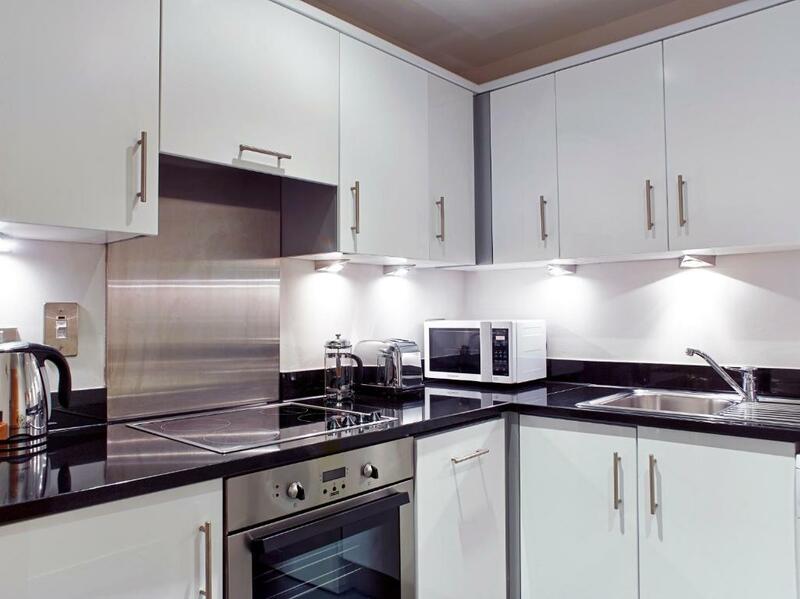 Each fully-equipped kitchen at Cheval Harrington Court has facilities including a fridge and oven. There is a 24-hour concierge service available 7 days a week. 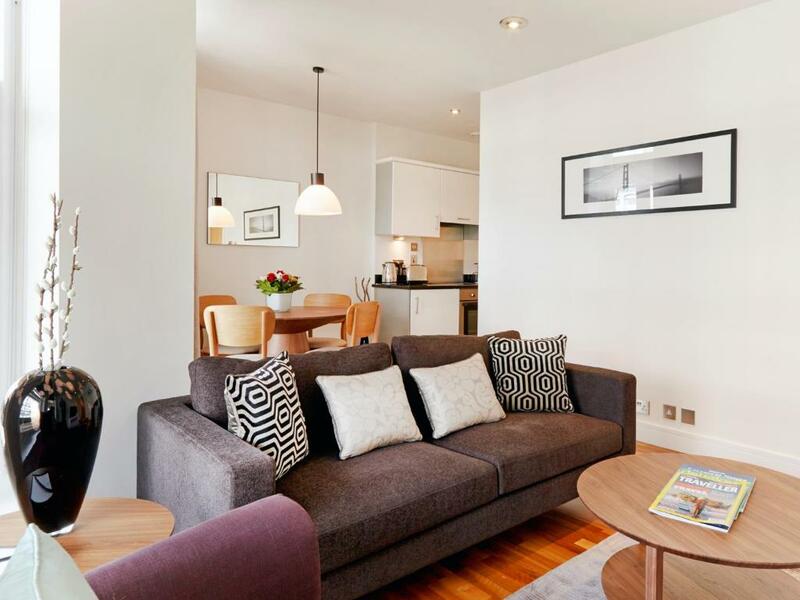 Cheval Harrington Court at South Kensington is set close to many of London's attractions, including the famous Natural History and Victoria and Albert museums, a 5-minute walk away. French-style cafés and a selection of restaurants can be found around here. Hyde Park is a 15-minute walk from the property and the center of London can be reached easily by Tube. 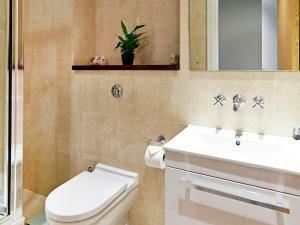 뀐 Located in the real heart of London, this property has an excellent location score of 9.5! 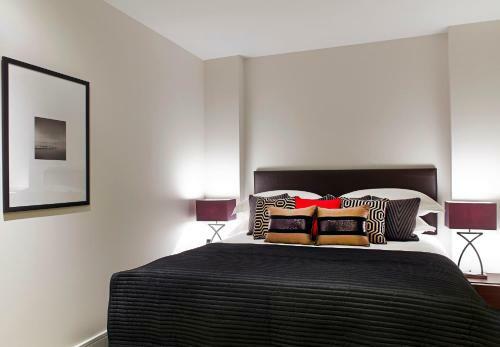 When would you like to stay at Cheval Harrington Court at South Kensington? This apartment has an open plan living and dining room, and bedroom with queen size bed. The kitchenette has an electric stove and Nespresso coffee maker. Guests can enjoy a flat-screen TV, and iPod docking station. These apartments have a city or courtyard view. Please note this apartment cannot fit extra beds. This apartment has a lounge, a king bedroom and a bathroom. The full kitchen has an electric stove and Nespresso coffee maker. 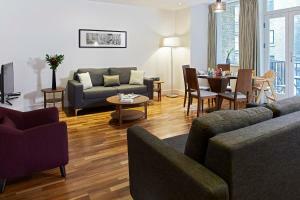 Guests can enjoy free WiFi, a flat-screen TV and iPod docking station. These apartments have a courtyard view. Please note this apartment cannot fit extra beds. This apartment has 2 bedrooms and one bathroom. There is a spacious living area, a full kitchen with an electric stove and Nespresso coffee maker. Guests can enjoy free WiFi, a flat-screen TV and iPod docking station. A 24-hour concierge service is offered. These apartments look onto an internal courtyard. There is a king bedroom and a bathroom, as well as a full kitchen with an electric stove and Nespresso coffee maker. Guests can enjoy free WiFi, a flat-screen TV and iPod docking station. A 24-hour concierge service is offered. 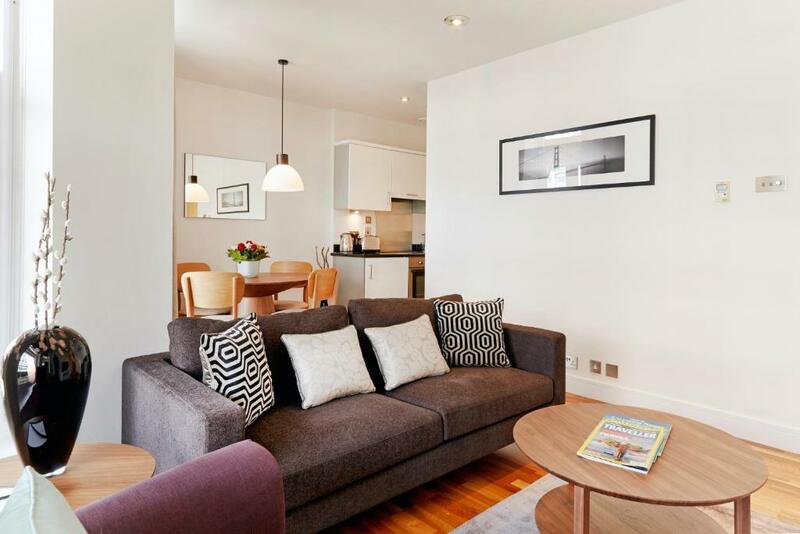 This one-bedroom apartment offers an open plan dining, lounge and bedroom area with king-size bed. The private bathroom features a walk-in shower. The separate kitchen is fully equipped, and you will also find a flat-screen TV and iPod docking station. Complimentary WiFi is featured. A 24-hour concierge service is also offered. This apartment has a bathrobe, dishwasher and electric kettle. This apartment features a balcony, dishwasher and air conditioning. House Rules Cheval Harrington Court at South Kensington takes special requests – add in the next step! Cheval Harrington Court at South Kensington accepts these cards and reserves the right to temporarily hold an amount prior to arrival. Upon arrival, property will request a copy of the credit card which was used to make the reservation. Failure to present this card at check-in, prior to entry into the apartment, will mean another valid credit card will be requested and charged for the entire stay. A credit card pre-authorization will also be taken upon check-in for any incidentals that you may incur during your stay. Please note that DVD players are on request only. Please also note that gym facilities are off-site. Please inform Cheval Harrington Court at South Kensington of your expected arrival time in advance. You can use the Special Requests box when booking, or contact the property directly using the contact details in your confirmation. Great location, friendly staff and amazing room. Entrance to hotel from street is over a huge step. Difficult to haul your luggage over and the elderly or disabled wouldn't be able to cope with it. Lighting in bathroom over mirror not good for putting on make-up! A teapot in the kitchen for making proper British tea would be great. Very helpful staff. I was offered a different room because of a continuous noise from another building. They did everything they could to find out what it was and in the end I didn't have to change room because the noise was stopped. The kitchen was fabulous - even a Nespresso machine, but no tea pot! And it was great to find a pint of milk in the fridge on arrival - thank you! We stayed on a Fri/Sat night and there is a neighboring club/venue - on this occasion (a couple of weeks before Christmas) this made for noisy revelers in the early hours (our apartment overlooked the street). Apartment starting to look a bit dated - fine for now but will probably need a facelift soon to justify the price. Room cleaning did not appear until 4-5pm when we back in room. Nothing, only that I didn’t take some photos. Very unpleasant , never ever recommend to stay here. We arrived at 23pm and requested for original copy of passport. Which I have been requested by any hotel through booking .com.